This reader explores the nature of interactions between children and their teachers in the classroom. It emphasises the importance of such relationships for children's learning and for educational practice. Part 1 looks at different cultural conceptions of the teacher-learner relationship, and how this relates to schooling, cognitive development and the aquisition of knowledge. Part 2 takes a closer look at the role of language and dialogue in interactions between adults and children in classrooms. 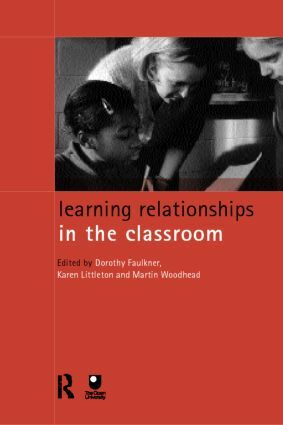 Part 3 describes research by developmental psychologists on peer interaction and collaborative learning, and discusses how it has advanced our understanding of how children learn from each other. Part 4 considers the implications of classroom-based collaborative learning initiatives and the potential for creating 'communities of enquiry' which change how we think about knowledge acquisition.